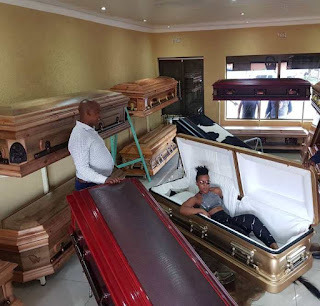 We would all die someday but would you be brave enough to buy your own coffin before your death? 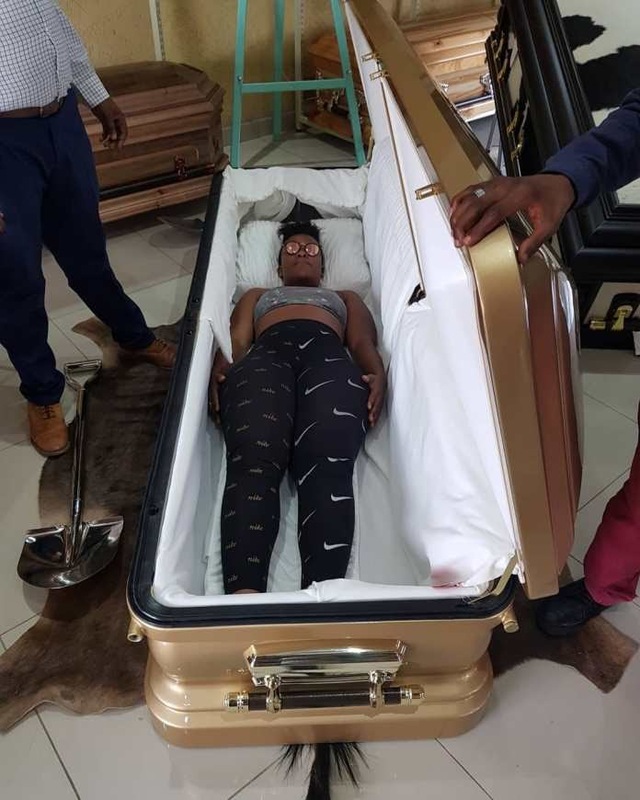 Well, a popular South African socialite known as Zodwa Libram (Wabantu) has bought the kind of coffin she wants to be buried in should she die. We don’t know if she’s expecting to die anytime soon, but we guess she wants to be able to sleep in a comfortable coffin when she’s gone and not trust the choice of a coffin to her family’s budget. The woman who is popular for dancing pantless on Social media said she made the decision to buy her coffin before death because she doesn’t fear death and share photos of her in her choice of coffin which she blew Ra 150,000 on which is equivalent to about Ghc55k.